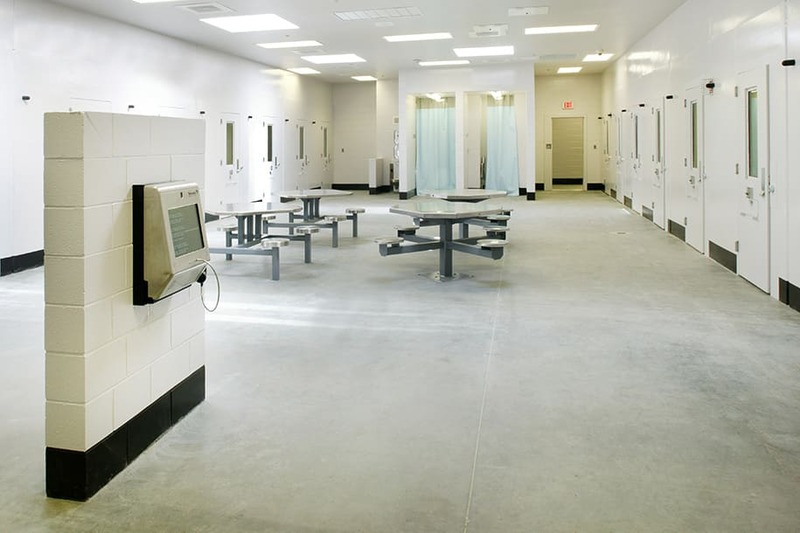 The new, 84,000 SF, 332-bed, Effingham County Jail & Sheriff’s Office reached completion in March of 2014. Hussey Gay Bell teamed with R.J. Griffin, Rives Worrell and Rosser International for the design and construction of the new complex. The project was made possible through SPLOST with an estimated total cost of $16.4M including financing. 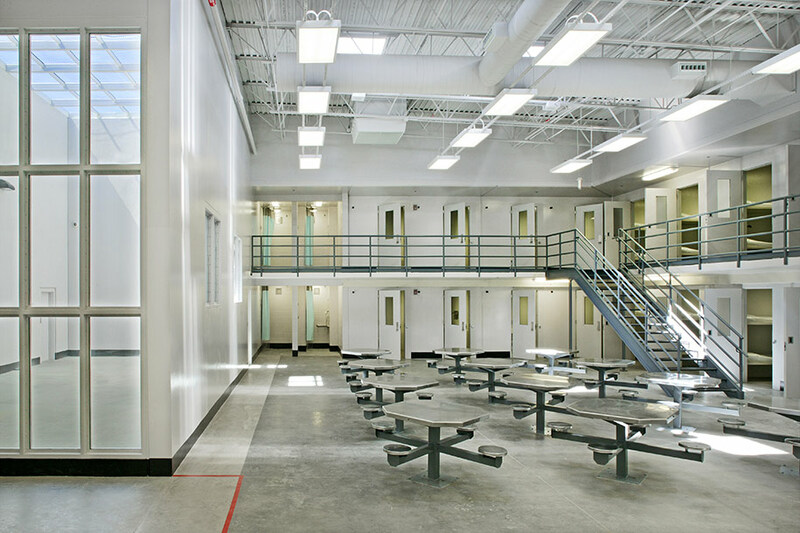 The new facility includes one 32-bed unit for females, a 48-bed minimum security area for males, two 48-bed medium security housing units and a 16-bed maximum security area in addition to an isolation unit and a special-needs unit that can be supervised by one officer. 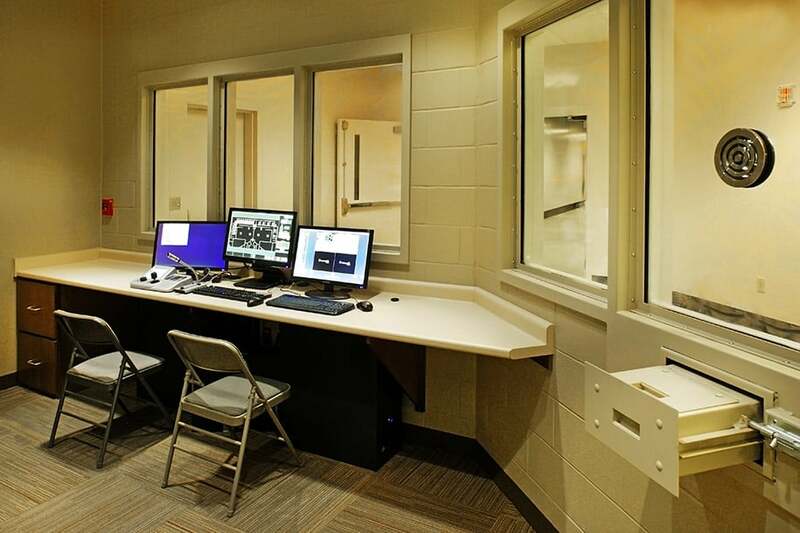 Phase 2 of the project included the renovation of the existing jail building into a new sheriff’s office. The old existing holding cells were demolished and the remainder of the building was renovated. 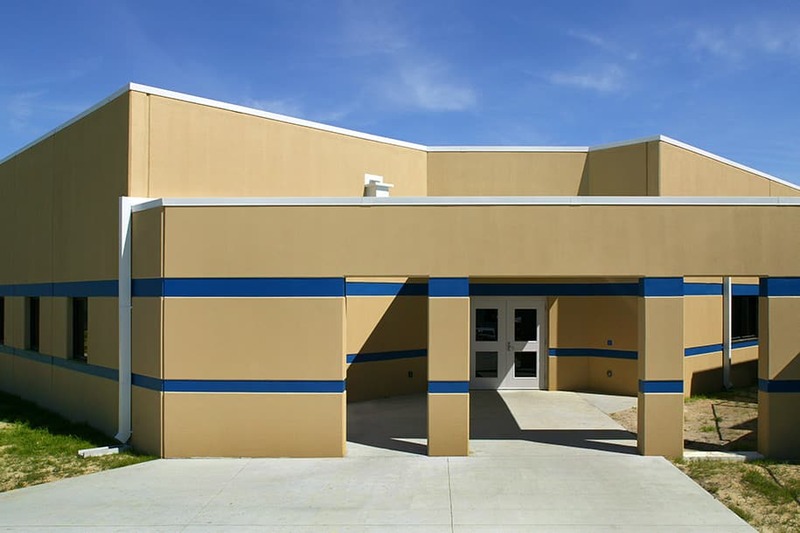 The building had experienced water intrusion problems so the scope of work included removing the exterior skin (walls and roof) and stripping the building down to the structural frame. The renovation scope included new interior walls, new finishes, new electrical, new HVAC and new plumbing fixtures. Spaces include sheriff office, deputy offices, squad room, training room, evidence storage, admin offices, CID/Drug Task Force work area, fitness room, and an armory. 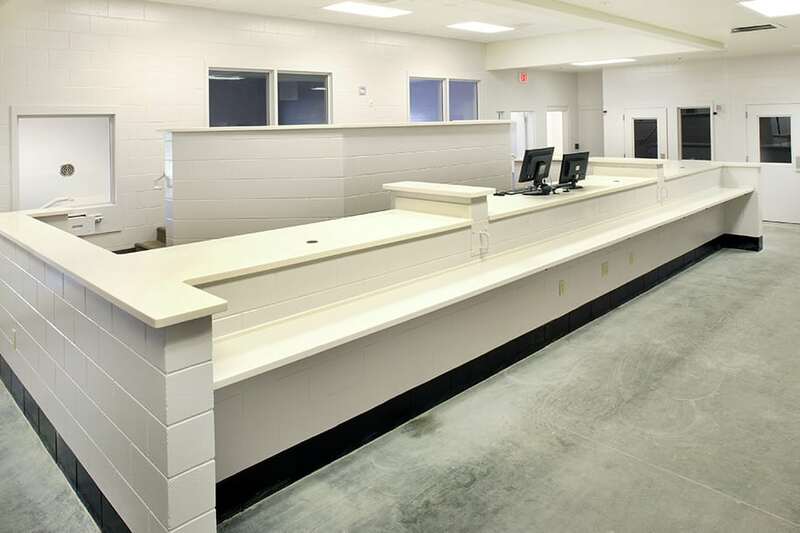 Completed via Design-Build, this new jail and sheriff’s office provides multiple functions in a centralized location with a cohesive configuration, increasing efficiency, functionality and security.